Ryouma is a young actor who, after much hardship, has become quite popular with the fans and media. He envies Izumi's brother, Shougo, for his superior fan base. Ryouma is big headed and brash. Like Shougo, he has a friendly and outgoing nature, complimented by good looks. He is very ambitious. 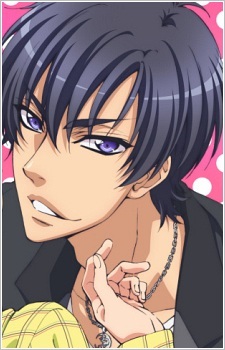 Previously believed to be heterosexual, his feelings for Izumi confuse Ryouma greatly, and even cause him to become enraged and lash out Izumi in the beginning. Ryouma definitely struggles with his sexuality throughout the manga. He is quite an accomplished cook. He does a lot of research and studying for roles, so he actually has a lot of skills. Here's a subtle way of aptly displaying sexual thoughts of both males and females which is appropriate for all ages: nosebleeds. By the laws of the anime world, no matter how much blood you lose, you can never die due to a nosebleed.